Summer means spending more time outside enjoying the warm weather and taking part in a variety of outdoor activities. But humans aren’t the only ones who come outside to enjoy the summer heat. Many species of insects have emerged from their winter homes to buzz around and do what insects do. While many of these bugs are harmless, others can bite us and leave marks or bumps that can sometimes be harmful to our bodies. Certain bites are itchy, while others are stinging and painful and can make for a miserable summer - and still others can cause additional illness at a later date. Let’s take a look at some of the biting insects found in Western Pennsylvania, what their bites can do, and how you can protect yourself from them. Ticks may not be a proper insect, but their bite is severe enough that we can’t ignore them in this list. While these pests are not a new problem, 2017 is proving to be a particularly risky year for Lyme disease, especially in the Northeast region of the United States. Worse, these days tick bites are no longer just a problem found in the woods, as many ticks hitch rides into our backyards via local deer populations. If you are spending time outside, it’s essential to check your body and hair for ticks (and to keep an eye on your pets, too). Tick bite symptoms can include swelling at the site of the bite, rashes, burning sensations around the bite, and sometimes difficulty breathing if the bite is severe. If you are experiencing any severe, long-term symptoms, or have concerns about Lyme disease, consult your doctor as soon as possible. Be sure to check out our blog about ticks and Lyme disease in 2017 for more information on proper tick removal and signs of Lyme disease. These long-legged insects are one of the more annoying ones that come about in the summer. They can be found almost everywhere; their bites are itchy; and some bites can also be fatal, as they are the most deadly animal in the world. Mosquitoes are known to kill over one million people worldwide per year due to the diseases they spread to humans. These pests are known to spread a number of diseases, including malaria, the West Nile Virus, and the Zika virus. While more severe diseases like malaria are not common in the United States, the other two can still be contracted from mosquito bites and can be dangerous. Zika is more common in the Southern, Mid-Atlantic, and Southwestern U.S., where the ocean is closer and temperatures are warmer. West Nile, however, has been found in humans and animals in almost all of the fifty states, as it is carried by around 65 species of mosquitoes. 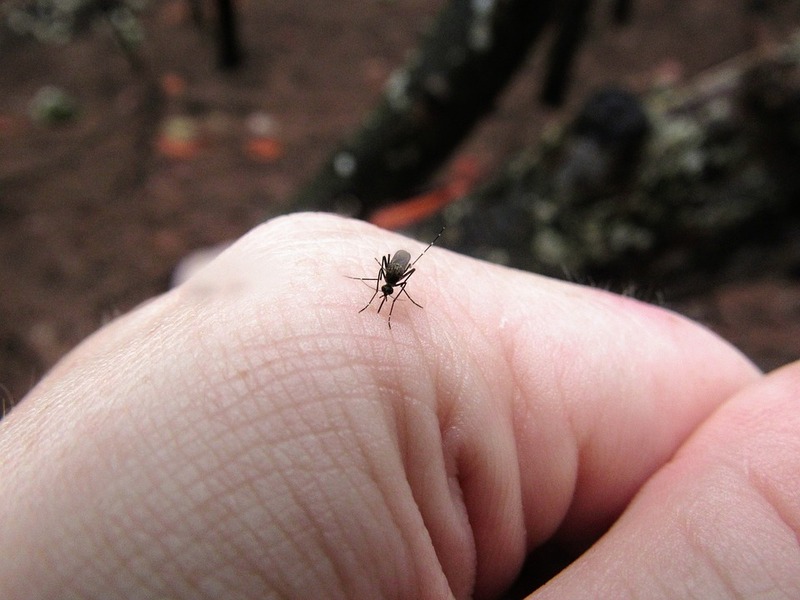 Mosquito bites are noticeable almost instantly, as a round puffy bump with a dot in the center will form at the site of the bite. Children and those with weaker immune systems may experience more pain and discomfort than others. Generally, the bite will be itchy for a few days and gradually go away. If you are experiencing prolonged symptoms, like body aches, fever, headaches, and allergic reactions, visit your doctor for treatment. If you have concerns about contracting diseases from bug bites, or don’t want to deal with being itchy after spending time outside, there are a few steps you can take. The Center for Disease Control and Prevention (CDC) recommends using bug sprays that contain at least 20% DEET (diethyltoluamide). Be sure to follow instructions on the repellant packaging and reapply when needed. Other ways to keep yourself from being a target to these pests is by covering exposed skin, especially when in wooded areas where insects thrive. For extra precaution, avoid sleeping with windows open at night and use mosquito nets when sleeping outdoors. Bug bites are a common part of our summer, and often they’re harmless and go away within a few days. However, when more severe symptoms arise and the bite isn’t subsiding, it may be time to seek medical attention. At Genesis Medical, our team can help you out with any of your bug bite concerns, treatment options, and more. Schedule an appointment at your nearest location and our staff will help you with any other concerns you may have about bug bites this summer.